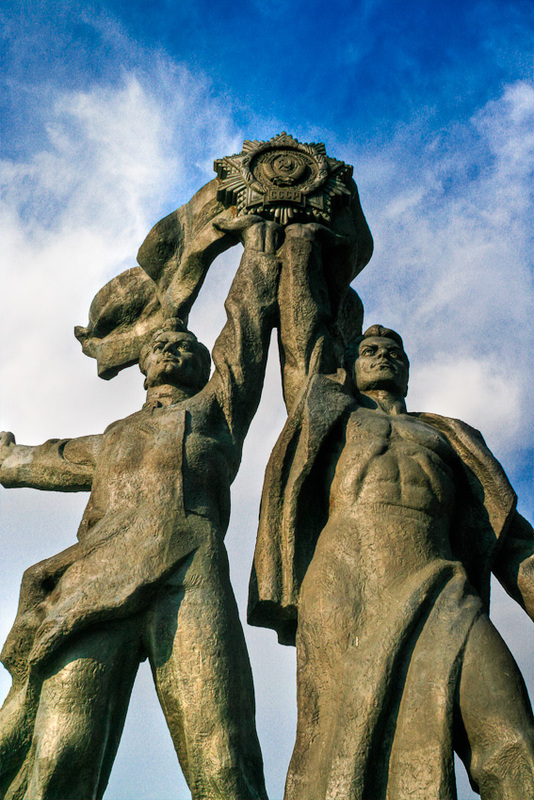 Another of the big, bold, oh-so Soviet statues found in Kiev. In the early 1980's the Soviet Union found itself in a budgetary bind, caused by the boycott of the 1980 Moscow Olympics, imperial excursions gone astray, and war demands in Afghanistan. This forced cuts in spending in many areas, but apparently the building of statues was hardly impacted at all. This is the Russian Ukrainian Friendship statue, built 1982. To get this shot without some hard to remove, gaudy structures in the background, I practically had to lay down on my back and shoot up at this angle. Along with HDR processing and some Topaz Detail, it gives it a rather dramatic look, don't you think?